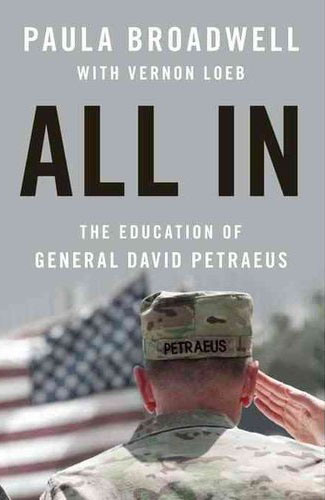 The publishing executives who oversaw Paula Broadwell’s fawning biography of David Petraeus are red-faced with embarrassment over their collective failure to notice the obvious signs of the couple’s romantic entanglement—and with good reason. “First she wanted to call the book, The Coming Surge,” the exec explained. “We nixed that as out of date—the Afghanistan surge had already occurred, so where was the context? Then she suggested Thrust of Greatness, which we vetoed as being somewhat over the top. You’d have thought some bells would have gone off when she proposed Enter Gently, But With Power, but no, we just told her it sounded too grandiose, and we thought her next suggestion, The Pleasure of Endless Service, sounded too selfless to be believable. When she finally came up with All In, we were like, wow, yeah, simple—that’s great! Asked by Chubaleevit whether, knowing what they know now, the publishing team would have titled the book differently, the exec didn’t hesitate.